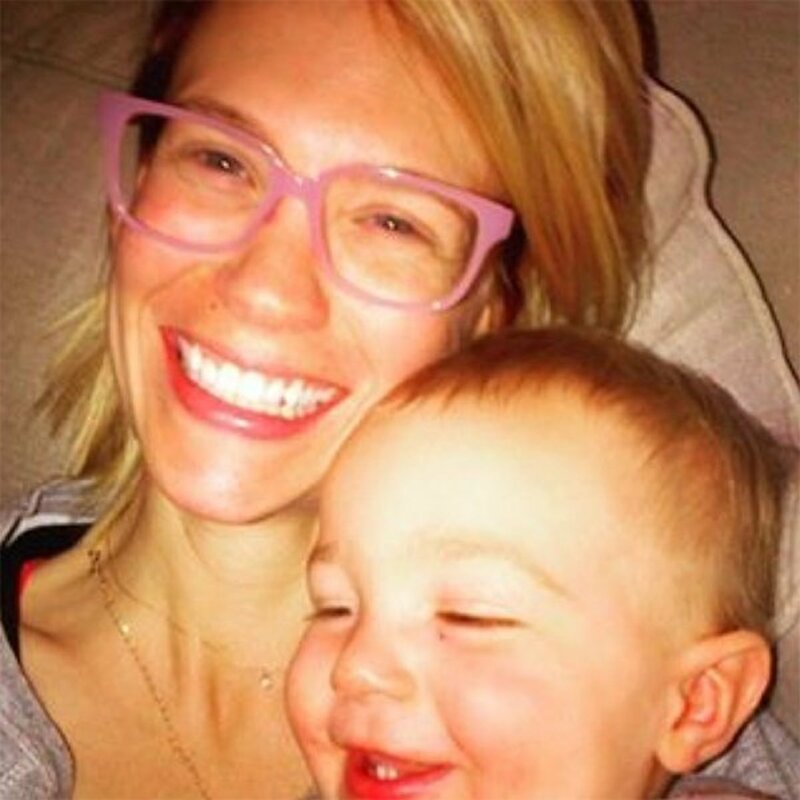 The identity of January Jones’ baby daddy may remain a mystery, but there’s no mystery as to how the actress feels about her son, Xander Dane, to whom she gave birth five years ago. In fact, in an Instagram photo Jones posted earlier this month, wishing her son a happy fifth birthday, the 38-year-old wrote, “This one goes out to us my son…5yrs ago today I became whole because you came into this world.” And just in case this touching sentiment wasn’t enough, January Jones also got a tattoo of a perfectly delicate line-and-dot compass dedicated to her unbreakable bond with her son. 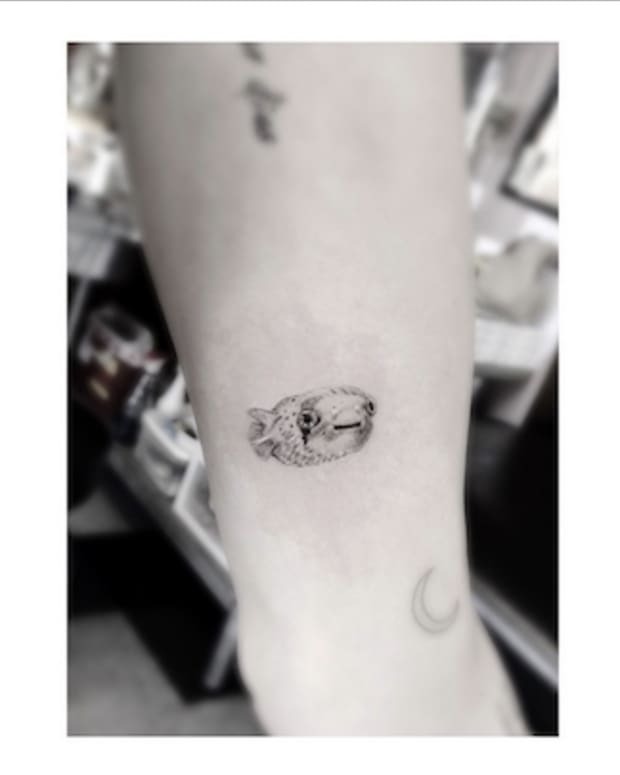 January Jones took to Instagram on September 26 to show off her new tattoo, inked by celebrity tattoo artist Dr. 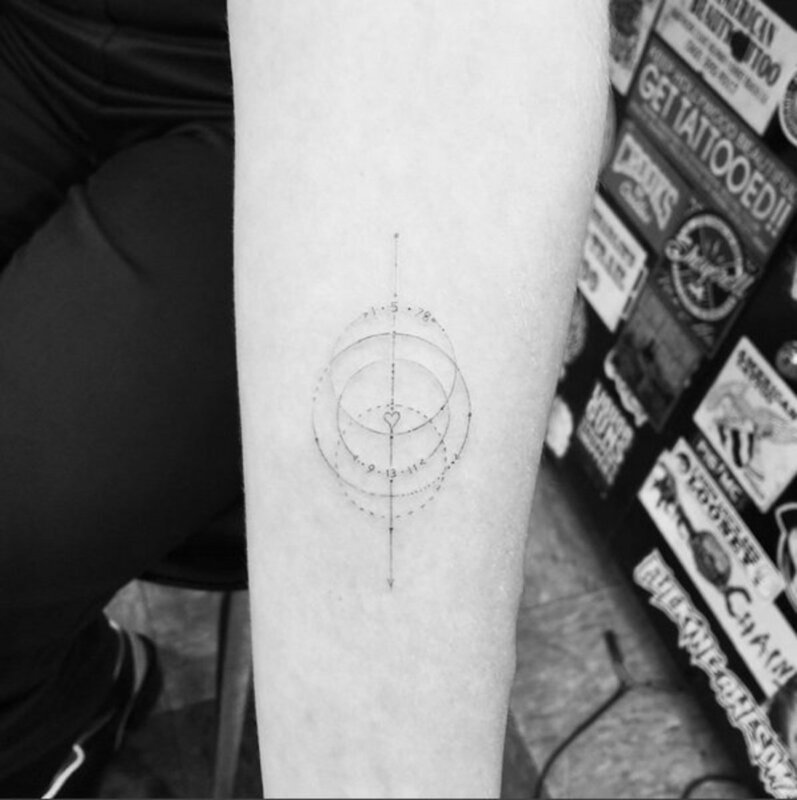 Woo on the inside of the actress’ left forearm, and the minimalistic design features what appears to be a deconstructed compass with an arrow running through the center. At the core of the compass is a tiny outline of a heart, and two of the circles making up the tattoo feature a date – 1.5.78 and 9.13.11. It turns out, the compass tattoo is a symbol of her devotion to Xander, and the dates represent January’s birthday – January 5, 1978 – and her son’s birthday – September 13, 2011. It’s common knowledge that January Jones is pretty much perfect in every way, and, despite raising Xander on her own as a single parent, she makes sure to spend as much time as possible with the five-year-old, even including him in her daily beauty routine. 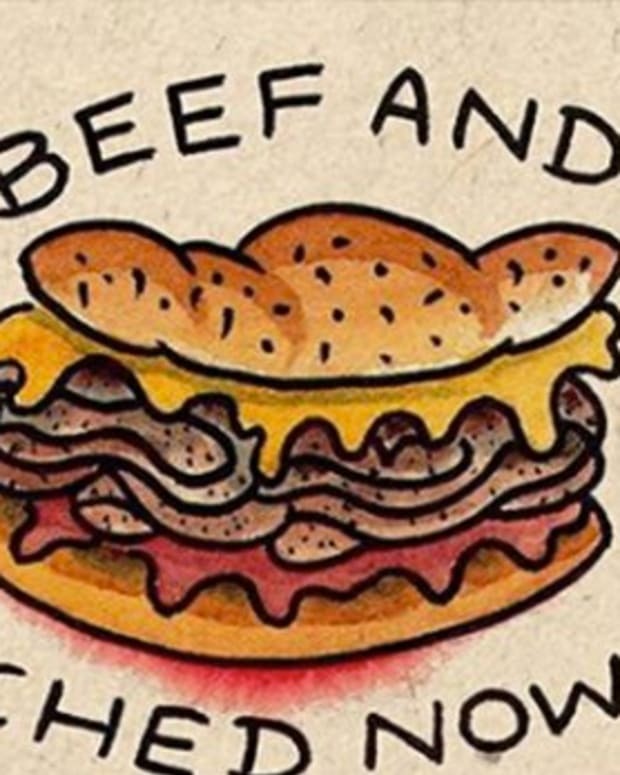 And now that January Jones has gone and joined the ranks of other loving celebrity moms with adorable tattoo tributes to their children, we think she’s even cooler! Did Dr. 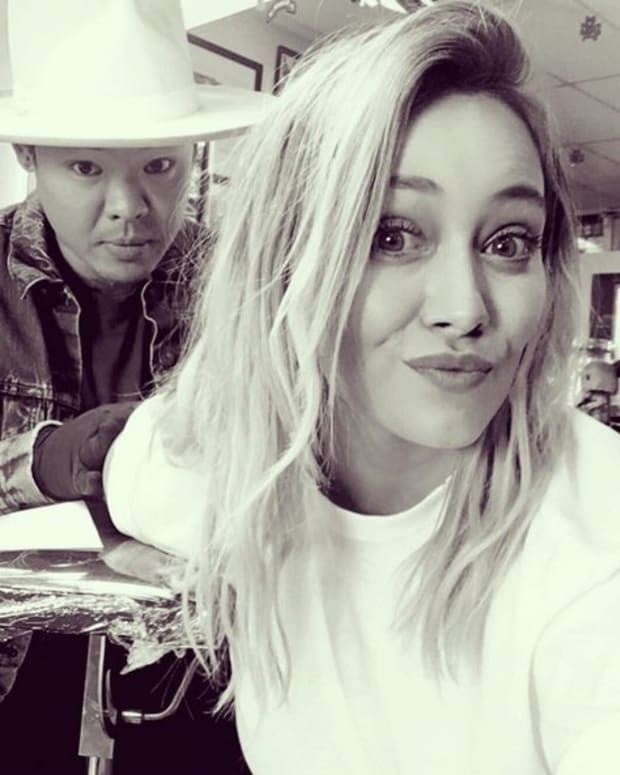 Woo Just Tattoo Miley Cyrus?